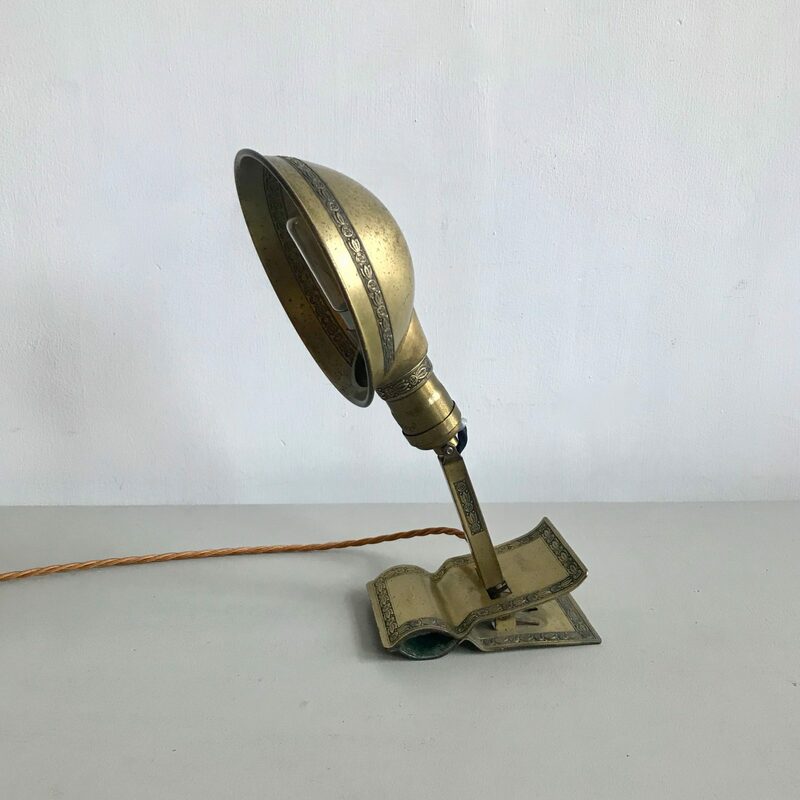 Adjusto~Lite adjustable brass clip on desk lamp made in 1919 in the US. A charming piece of lighting with a naturally aged brass patina. Rewired with whiskey braided flex and an in line switch.